Miami is considered one of the top vacation destinations in the world. Now, once you have lived and worked there for several years, you don't see it that way at all: Hence the need of finding a relaxing getaway destination to 'disconnect' to the real world and 'recharge' batteries. I usually hit the keys once or two times a year. Oh Joy! 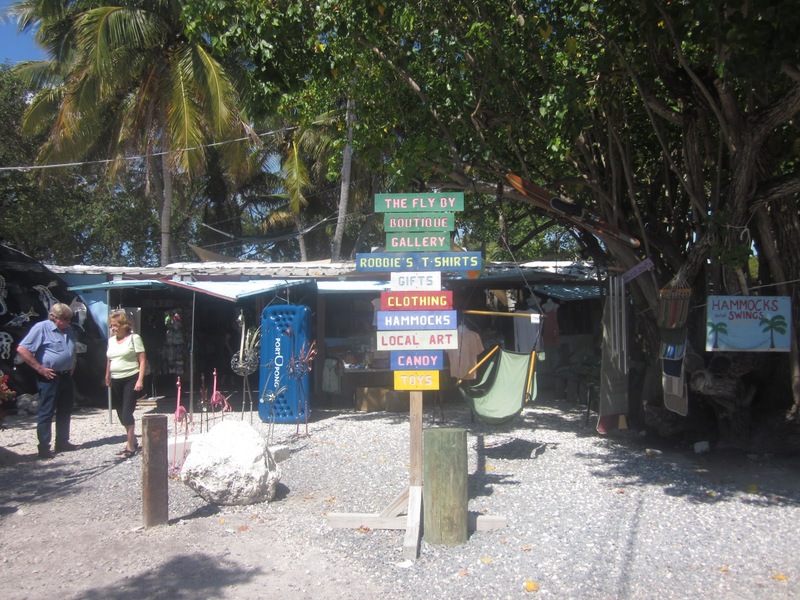 I always say that the keys is more than a destination: It's a state of mind. I would like to share with you guys some highlights of the trip! 8:40 am: We hit the road! Tons of excitement and Coldplay's albums for out entertainment. 11:00 am (aprox): Power breakfast break at one of the best spots in Islamorada The Hungry Tarpon. 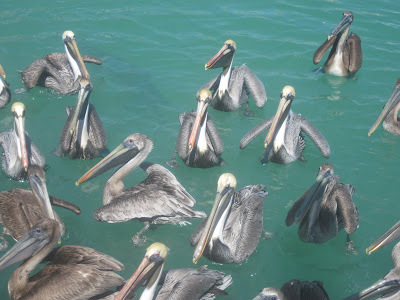 Enjoy the nature, try to feed the tarpons and take some pics to the gorgeous pelicans, while you wait for the eggs and pancakes 'du jour'. You can also stop by the stores featuring some of the finest artisan work made by local artists. 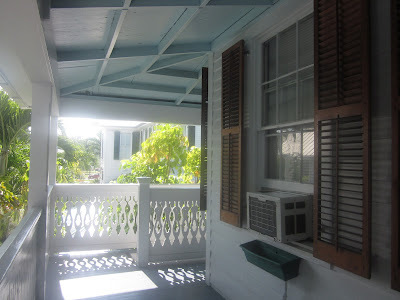 2:00 pm: We finally arrive at our B&B in Key West, The Blue Parrot. The house was built back on the XIX Century, and it captures all the charm and history of the area. Location, location, location! 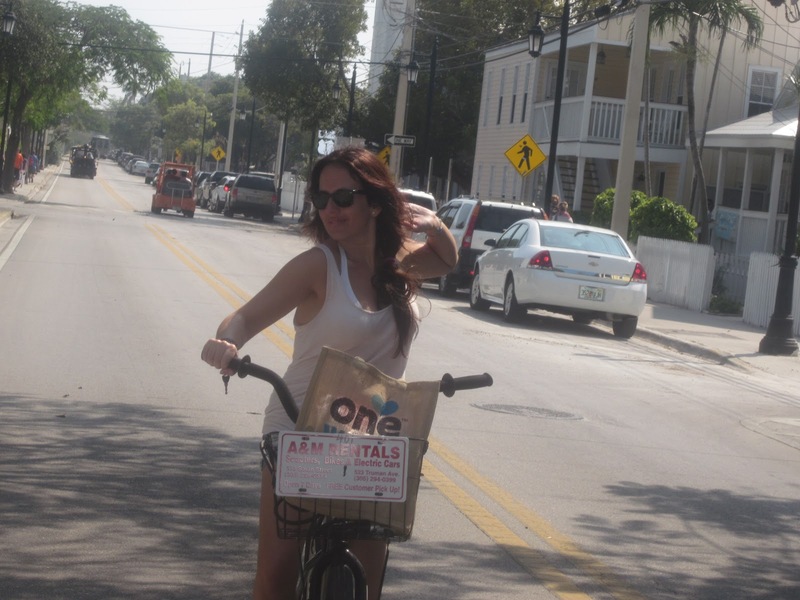 That's definitely one of the most valuable assets of the place: You can walk and bike everywhere! 3:00 pm: Time to hit the beach! 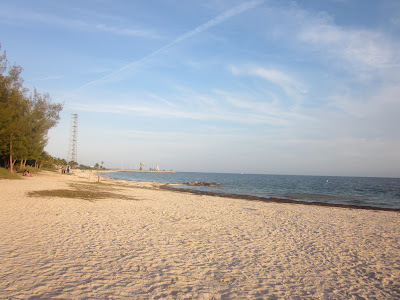 Fort Zachary Taylor, turned out to be an amazing option to spend the rest of the afternoon relaxing under the sun. we read that the Fort also offered the best views of the popular Sunset. We decided to give it a shot, and instead of doing the popular Mallorly Square, we remained in the park. Well, let's just say that it didn't disappoint us. It's a more 'intimate experience' and equally beautiful! 9:00 pm: After some siesta time, we headed to Prime Steakhouse, by the harbour. Great meat and ambiance! 11:00 am: Once we had breakfast by the lovely pool, we did the check out and headed to rent some bikes for the day. 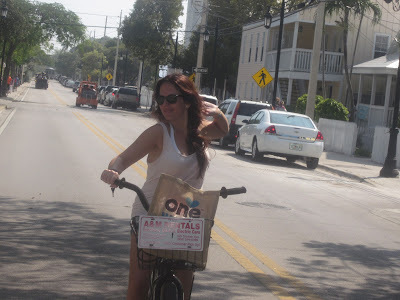 Let me tell you...what a great experience, to roll around Key West on bikes! Fun, convenient -you get everywhere in no time- and a bit of cardio after the steak house doesn't hurt, right? And speaking of cardio, if you are looking to work your legs, climb to the top of the popular Lighthouse, in front of the Hemingway house. Nice views! 1:30 pm: Key West Harbour. 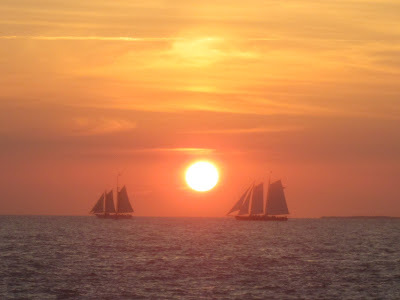 We strolled around the little shops and took some fabolous pics of the sailing boats. 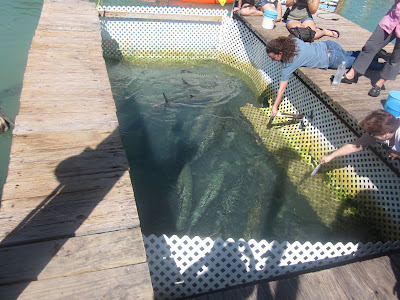 2:00 pm: Lunch at The Conch Republic We enjoyed some catch of the day while watching the game Mavericks vs. Lakers! 3:30 pm: The time to leave the Keys was getting closer and closer, and we decided to spend the last hour and a half rolling around Atlantic Blvd. We didn't want to leave! 5:30 pm: Feeling the Summer Blues as we drive out of KW! Anyway...it was an amazing weekend! We shouldnt forget to mention the wonderful drive all the way down from miami to key west. And at least we shouldnt neglect the great fun we both had doing all these activities together. So i am looking forward to my next kw-experience! So fun! Love these pics. We are going in early March so this makes me excited!